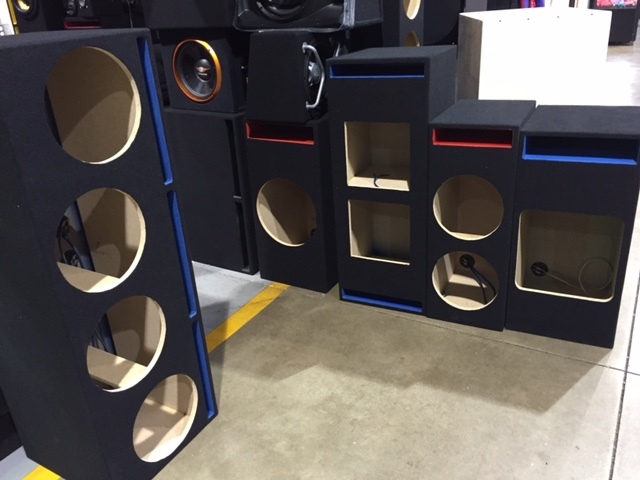 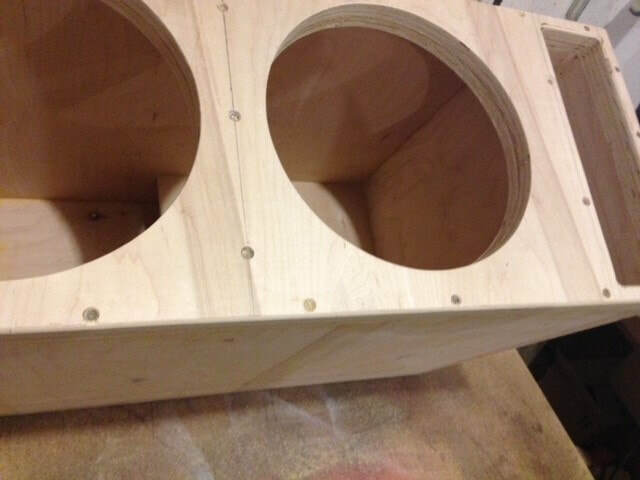 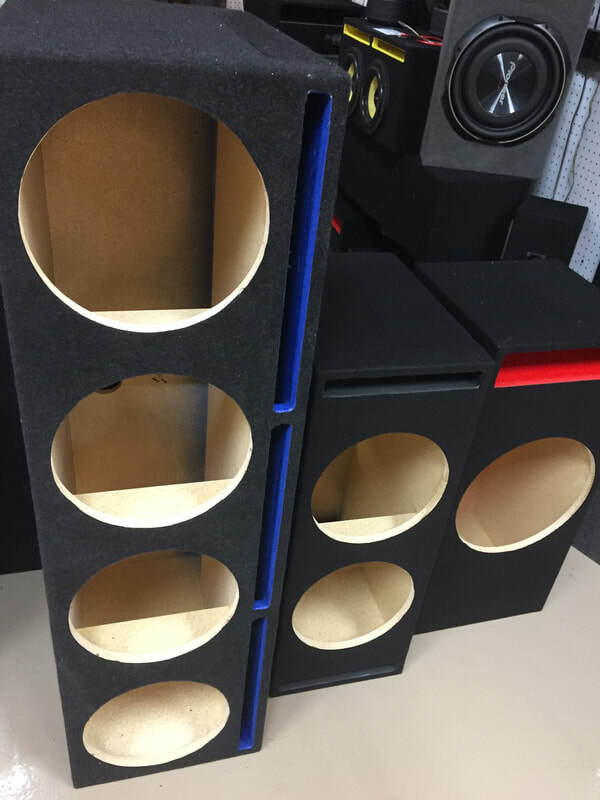 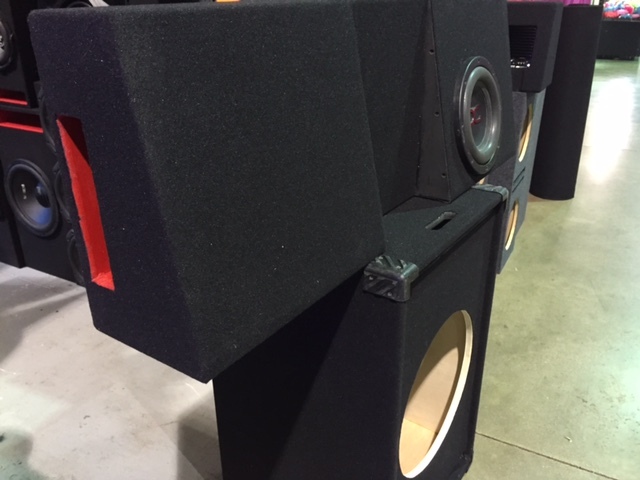 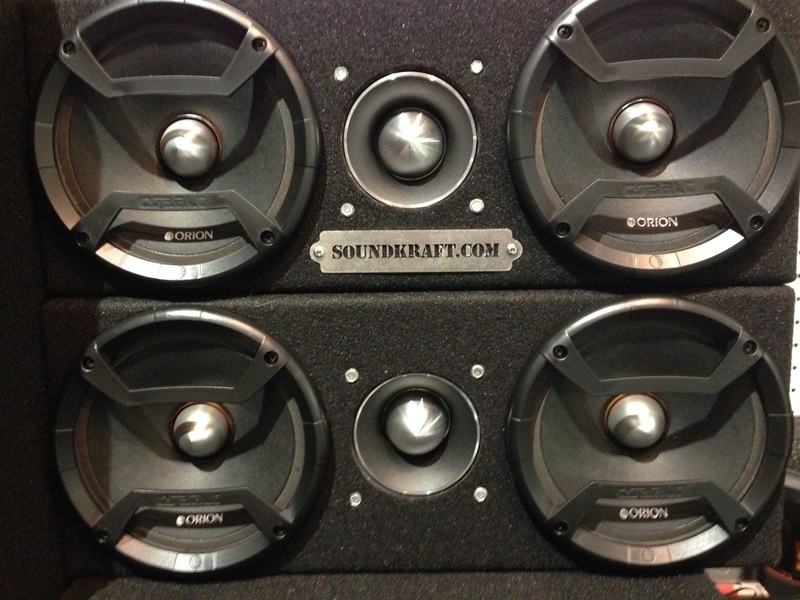 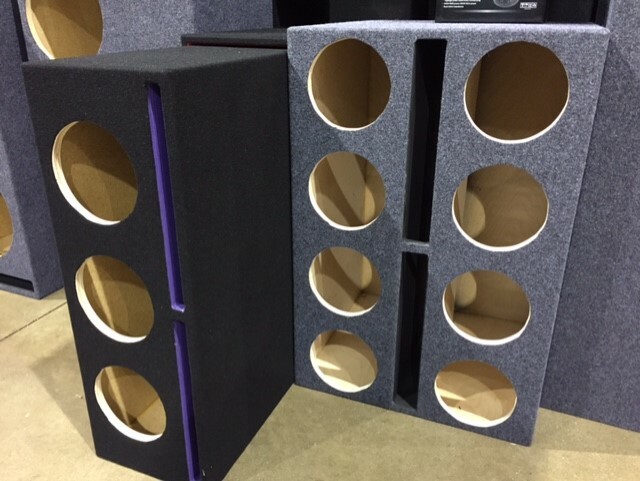 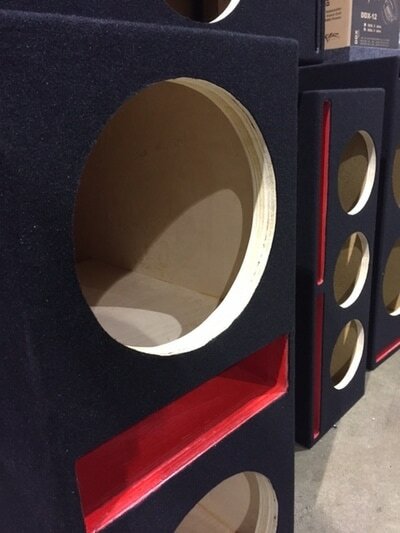 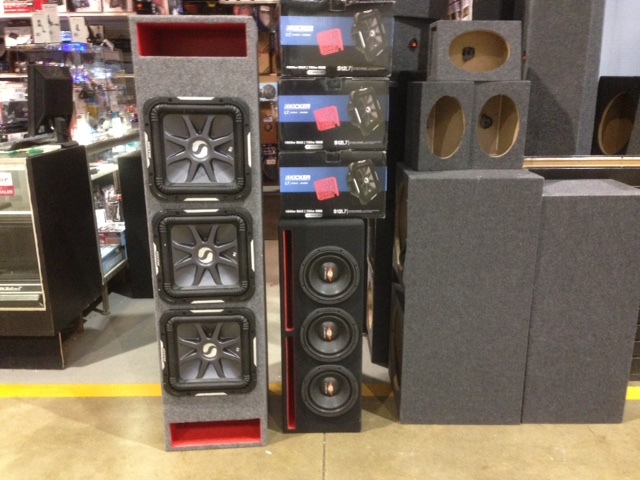 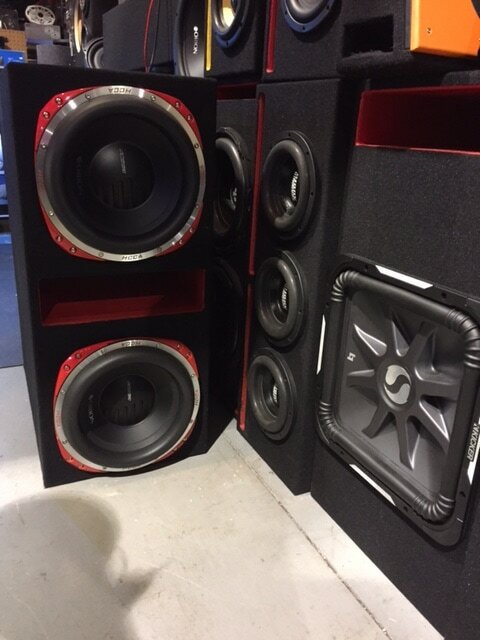 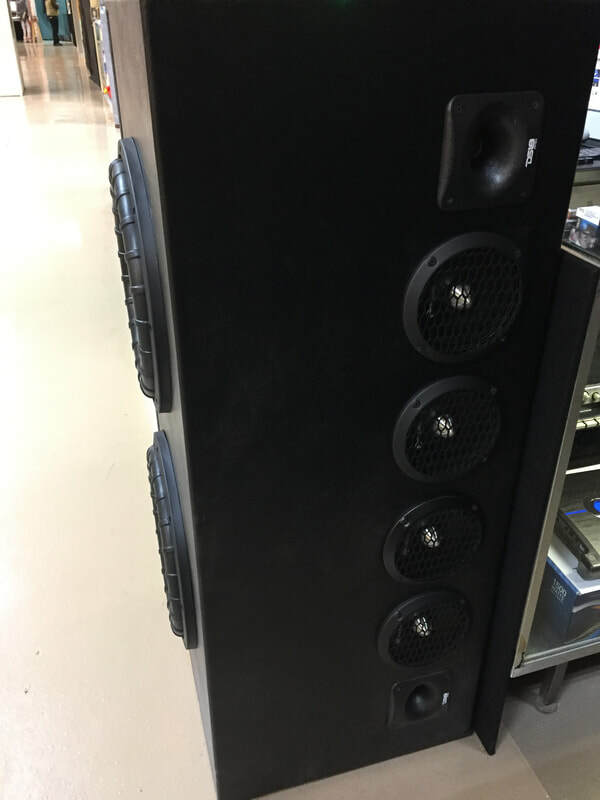 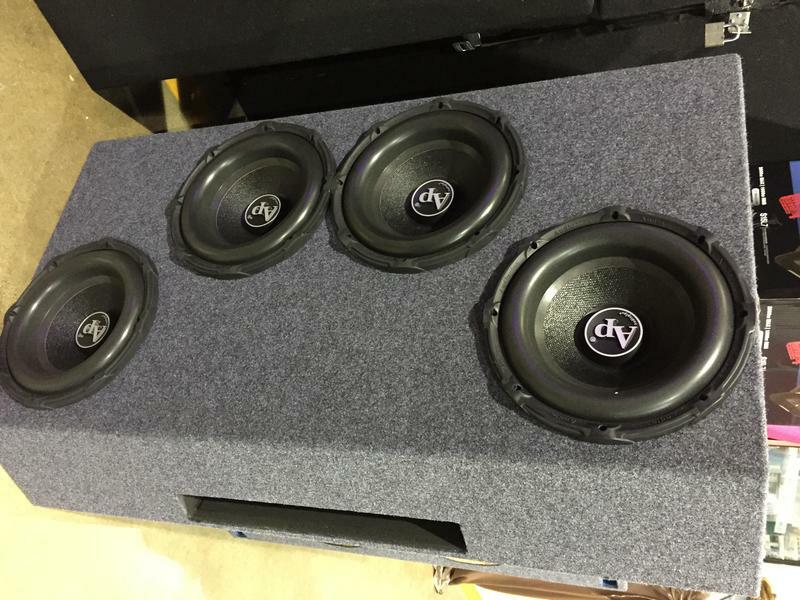 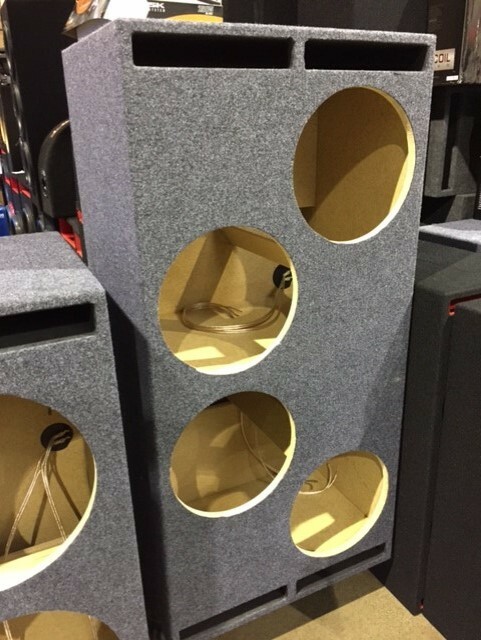 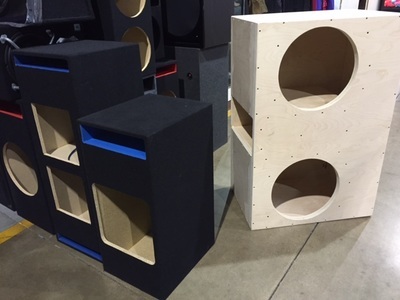 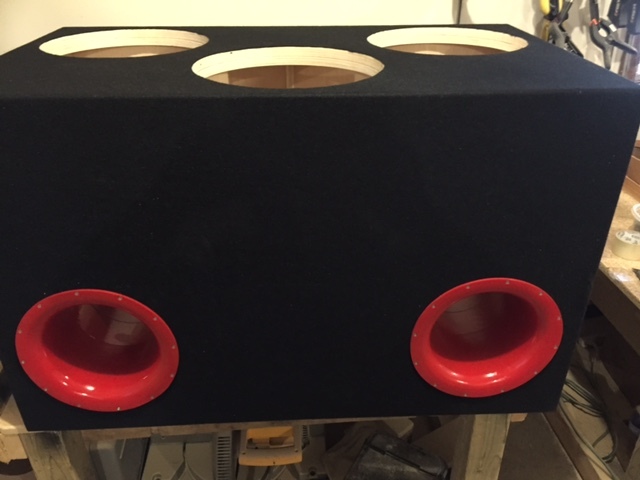 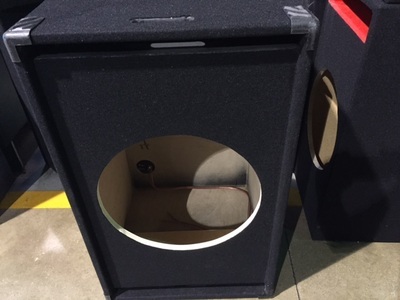 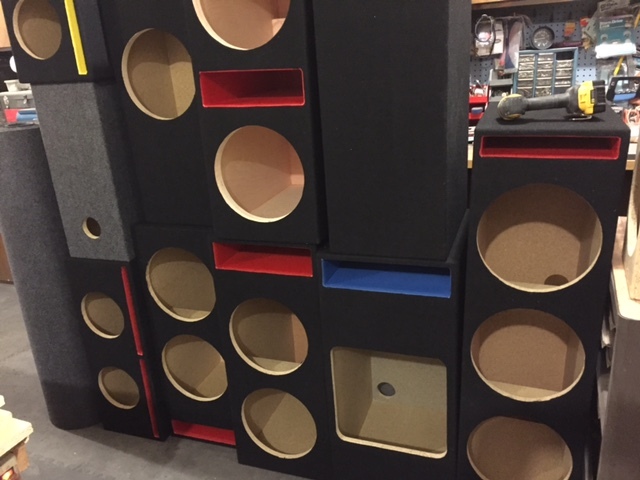 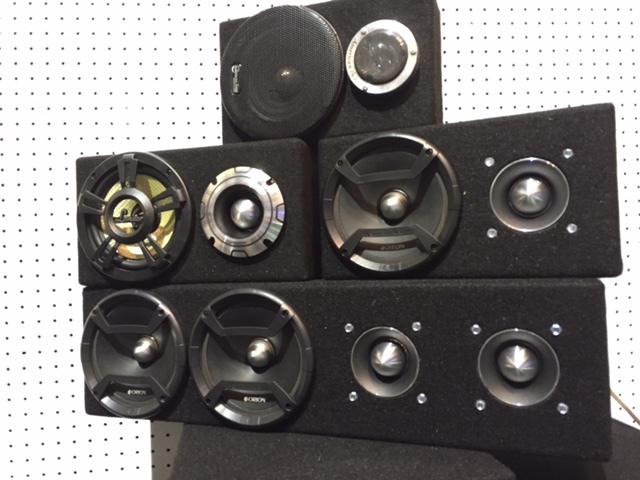 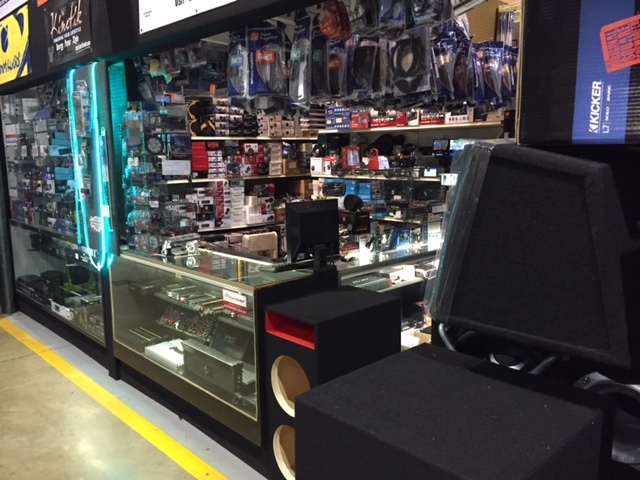 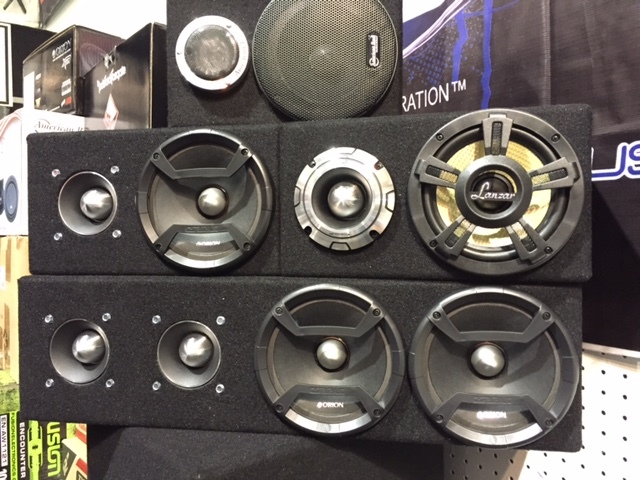 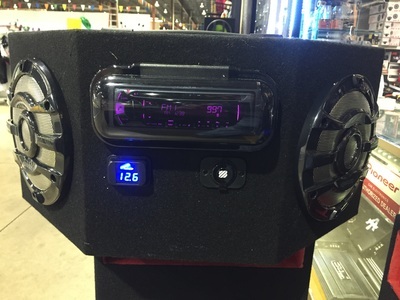 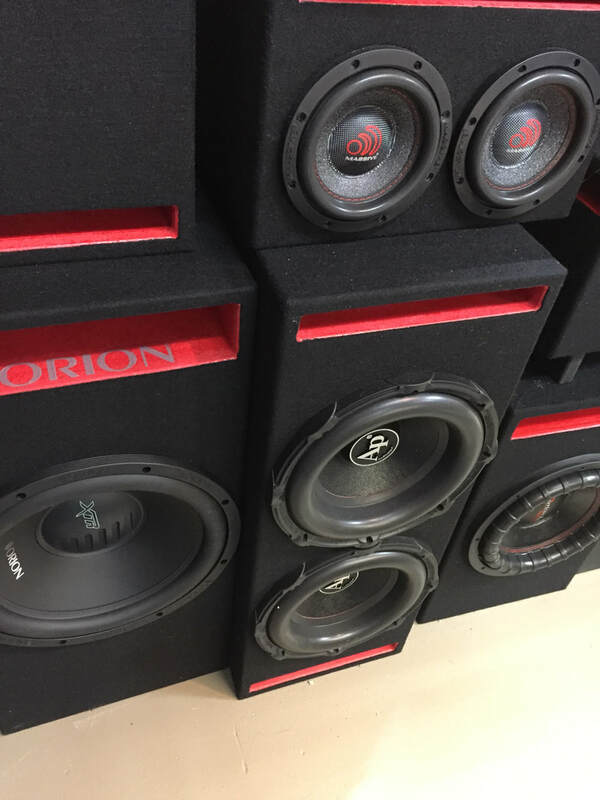 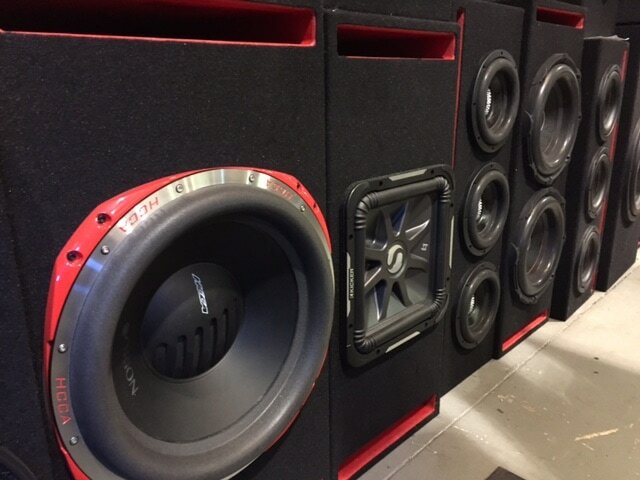 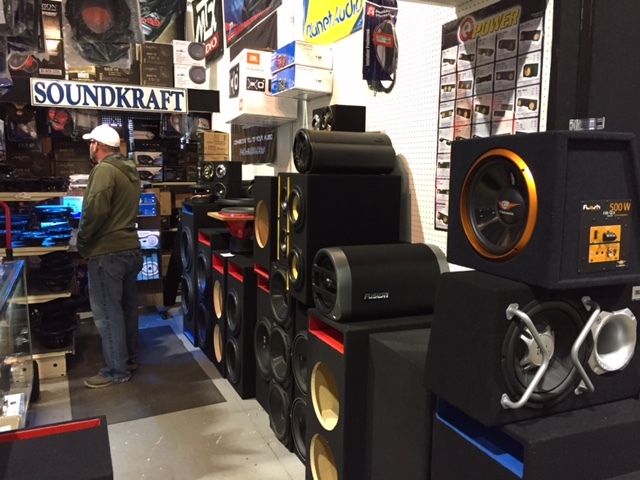 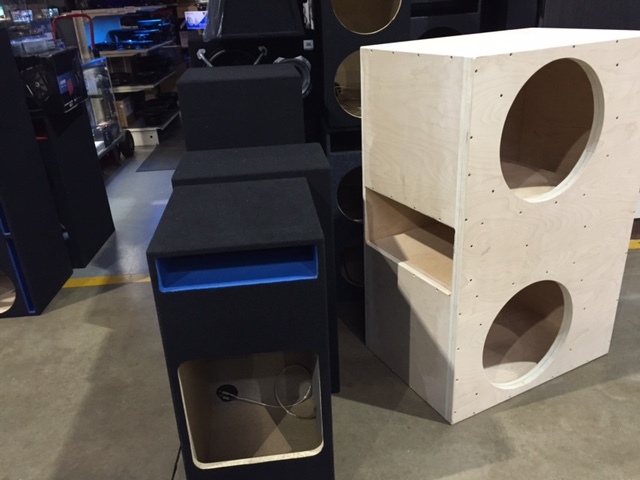 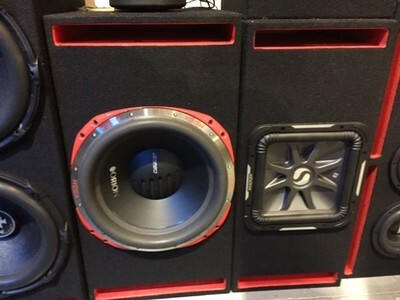 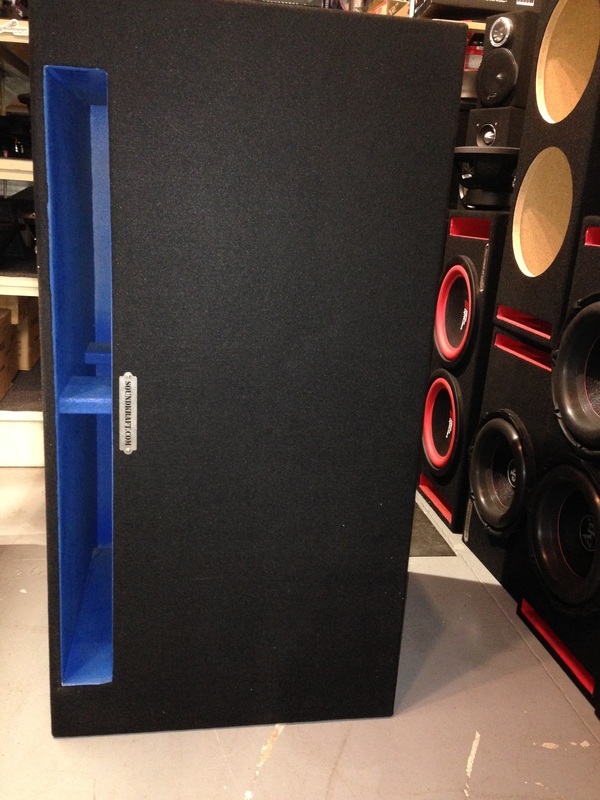 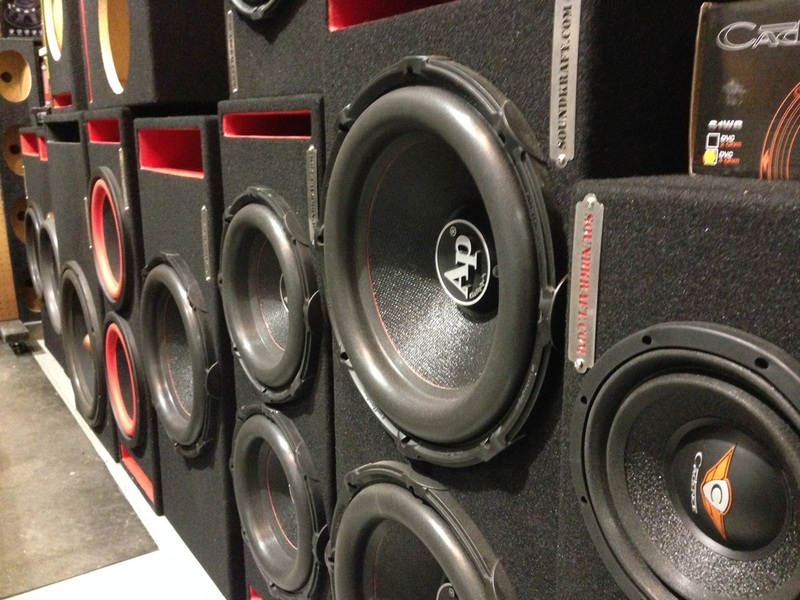 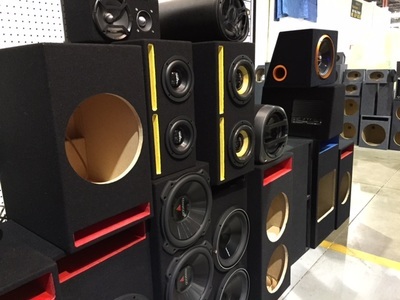 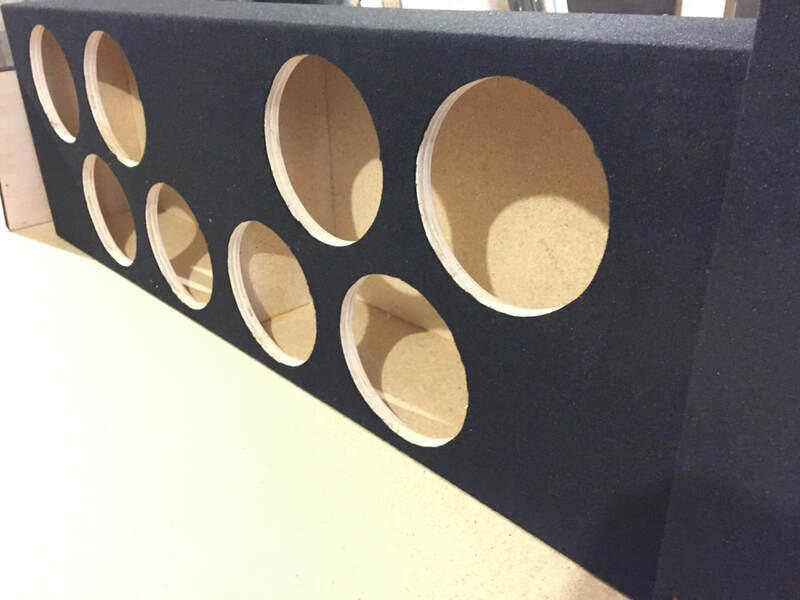 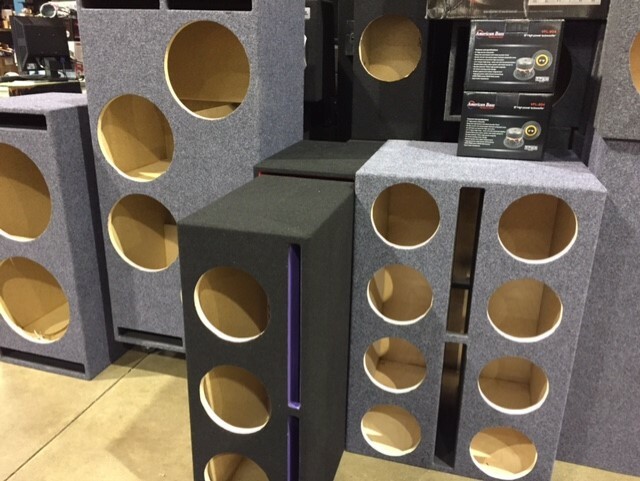 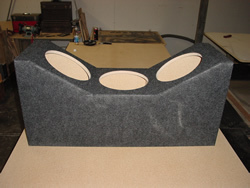 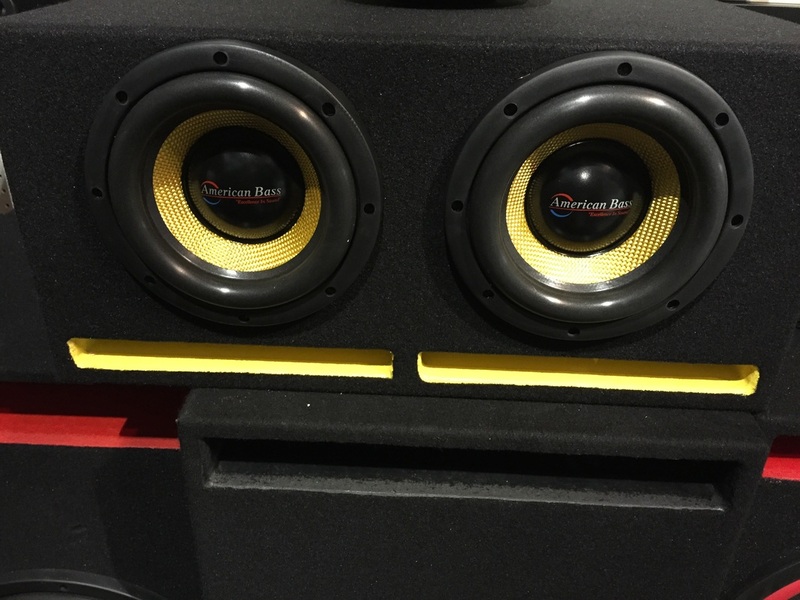 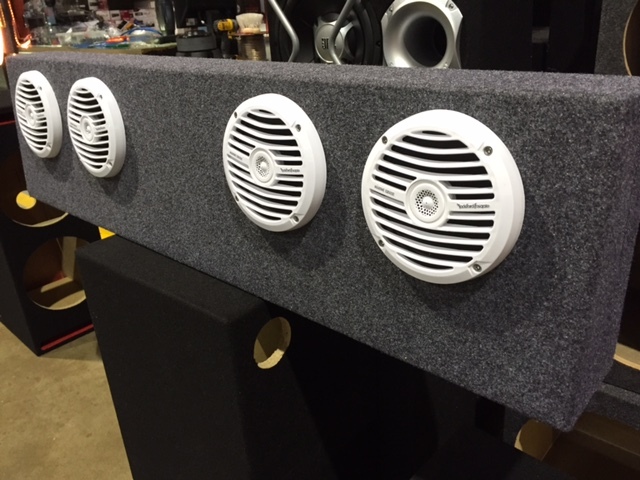 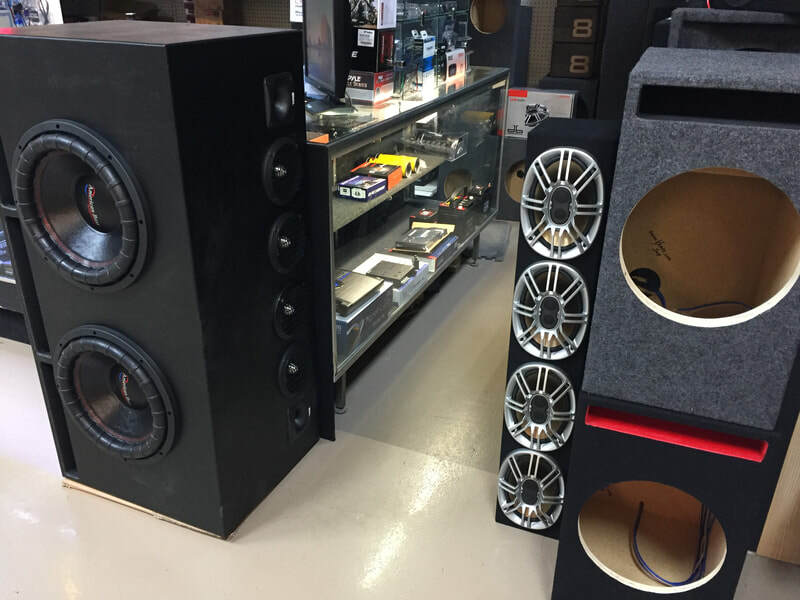 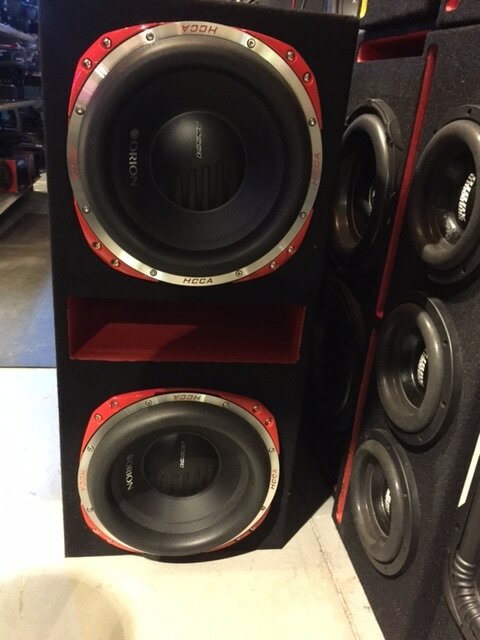 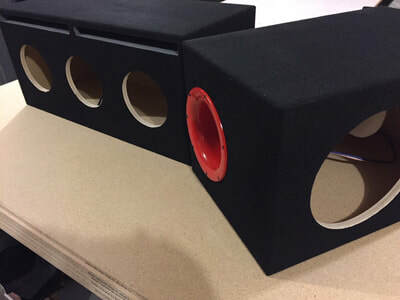 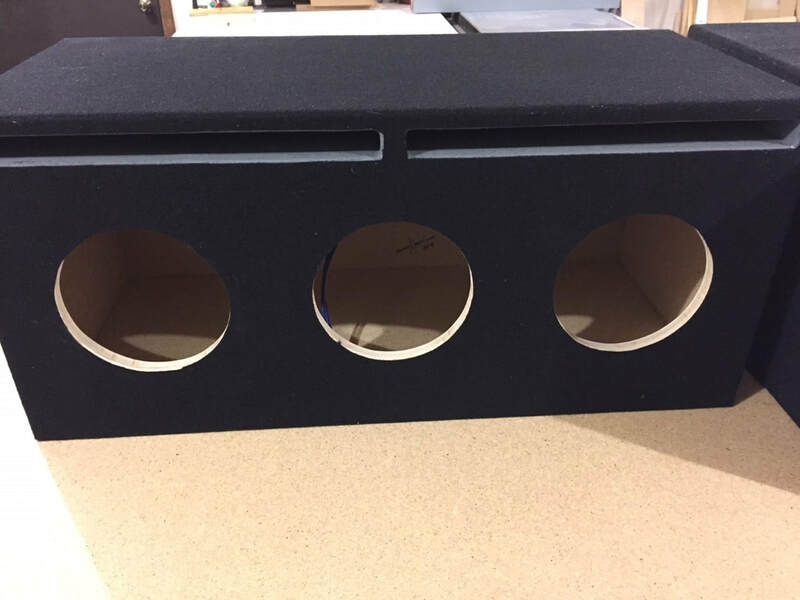 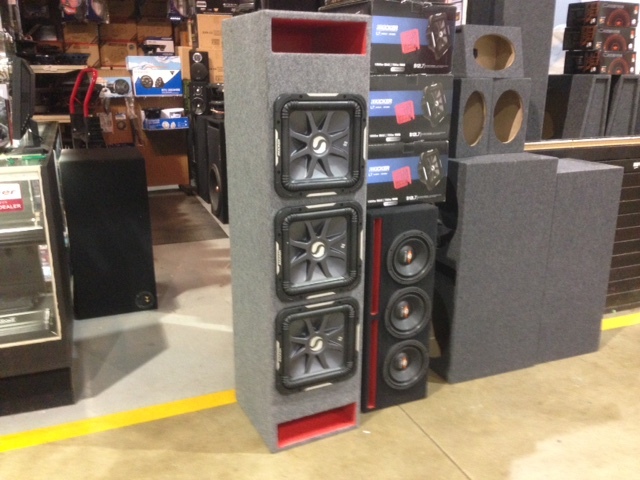 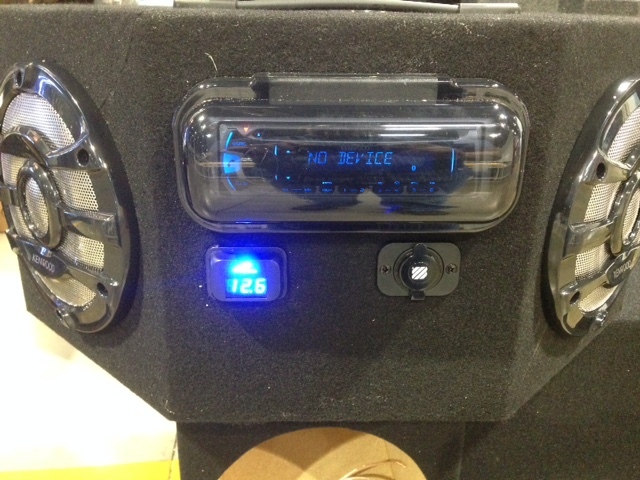 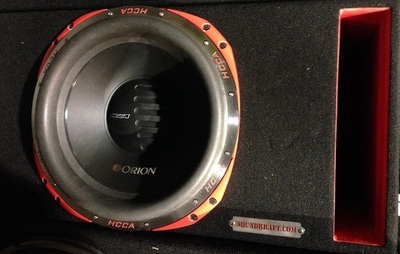 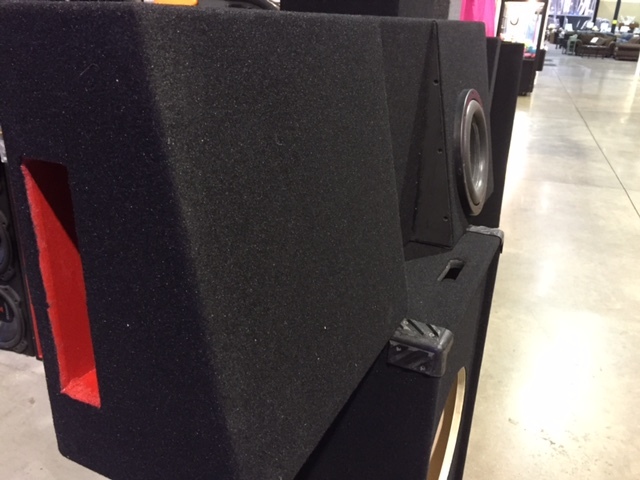 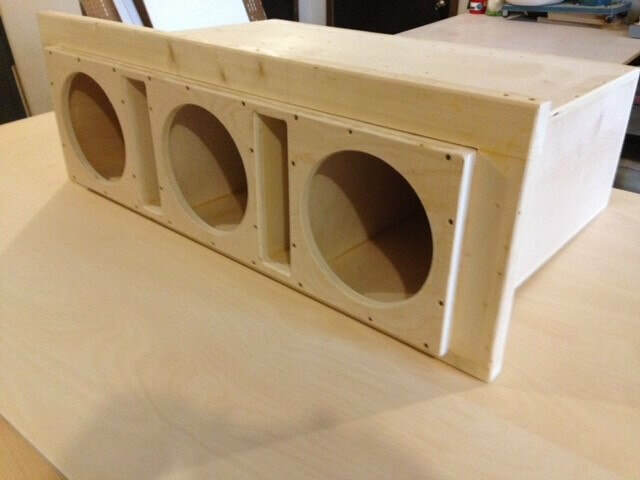 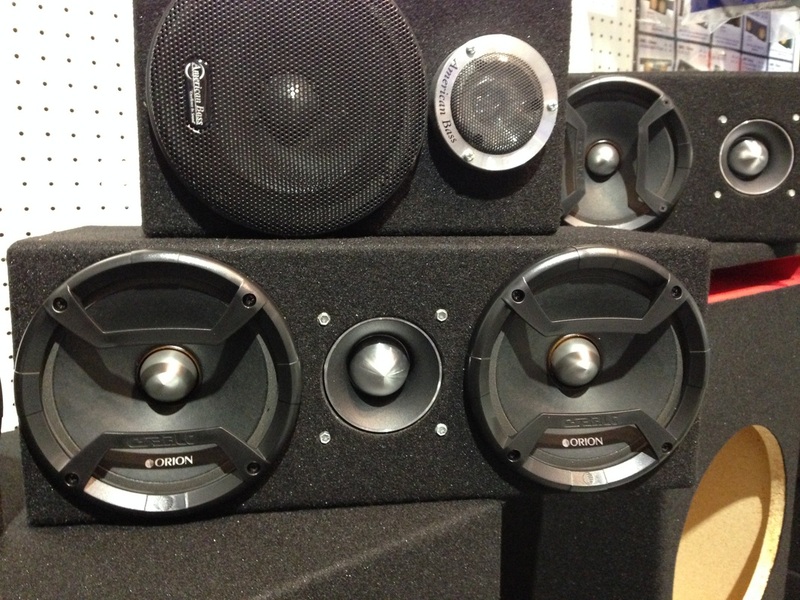 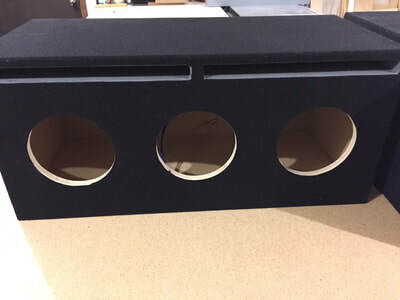 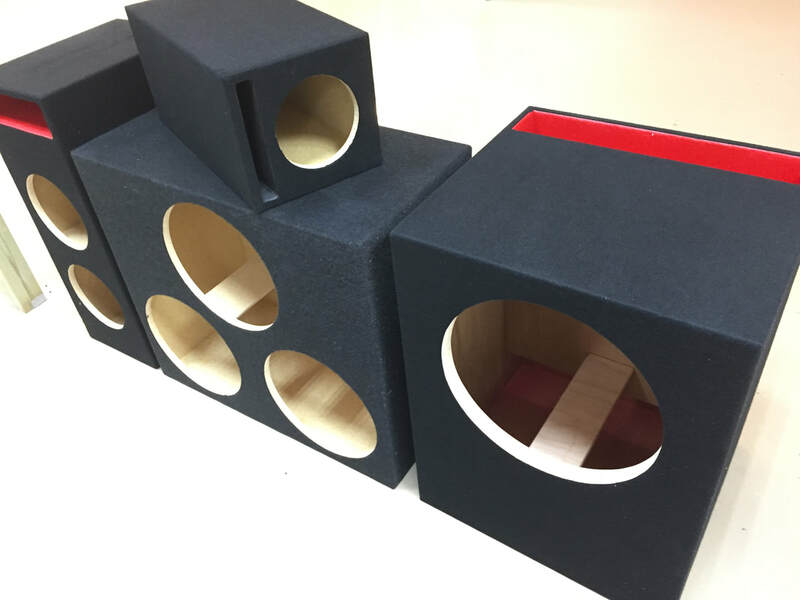 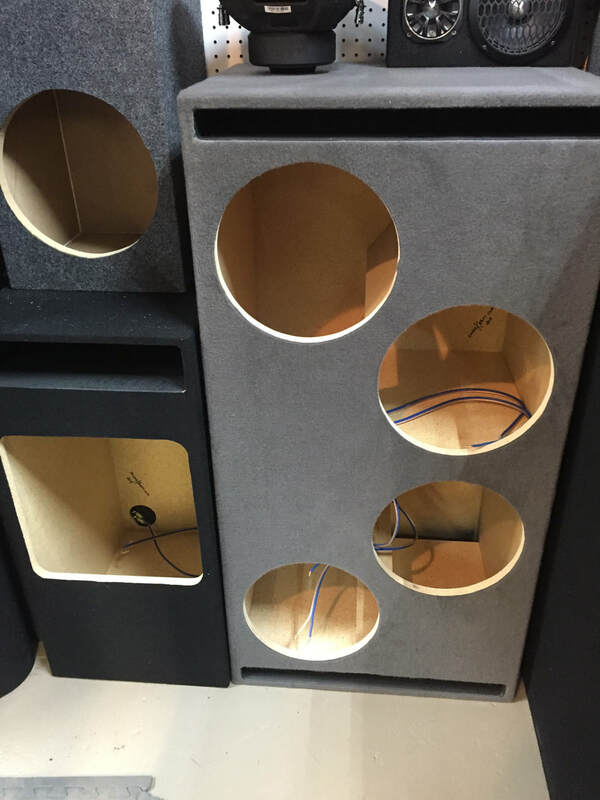 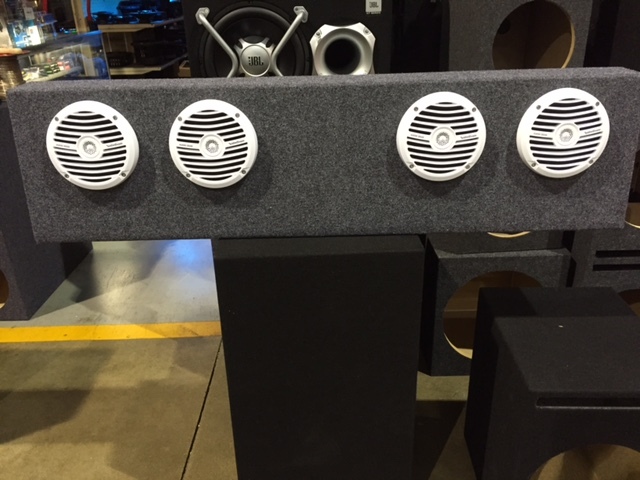 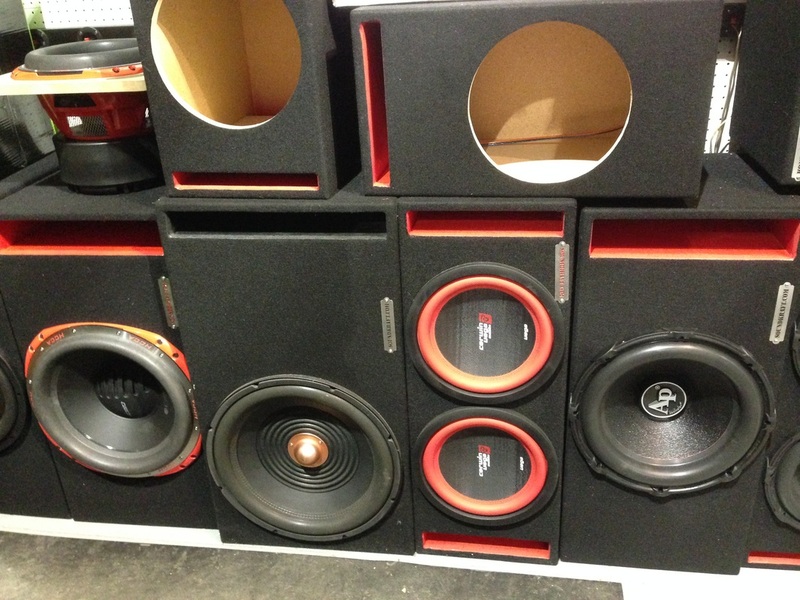 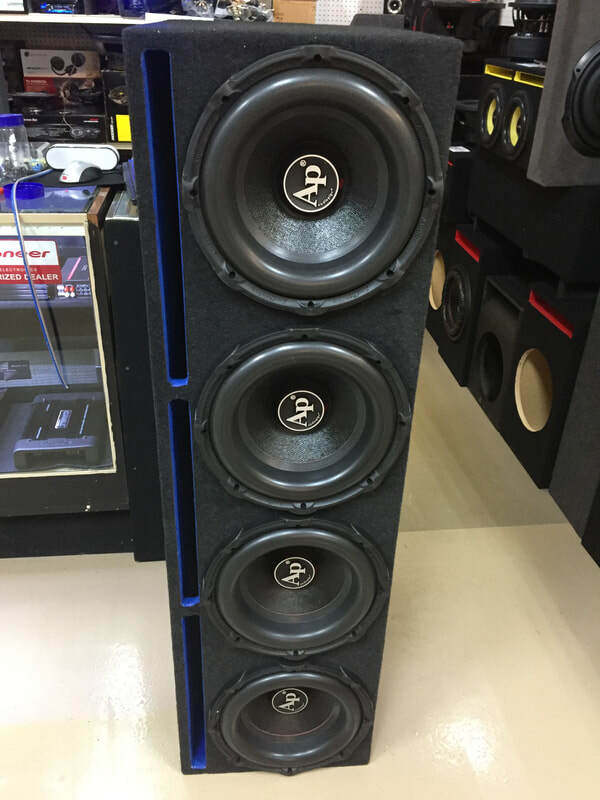 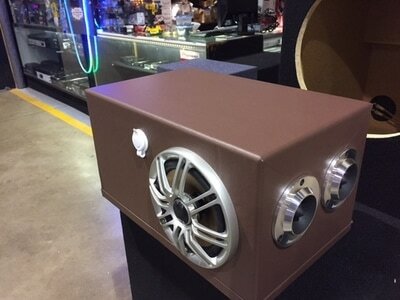 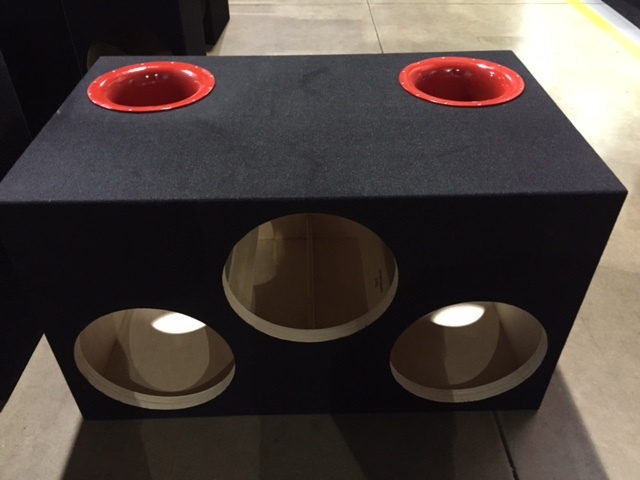 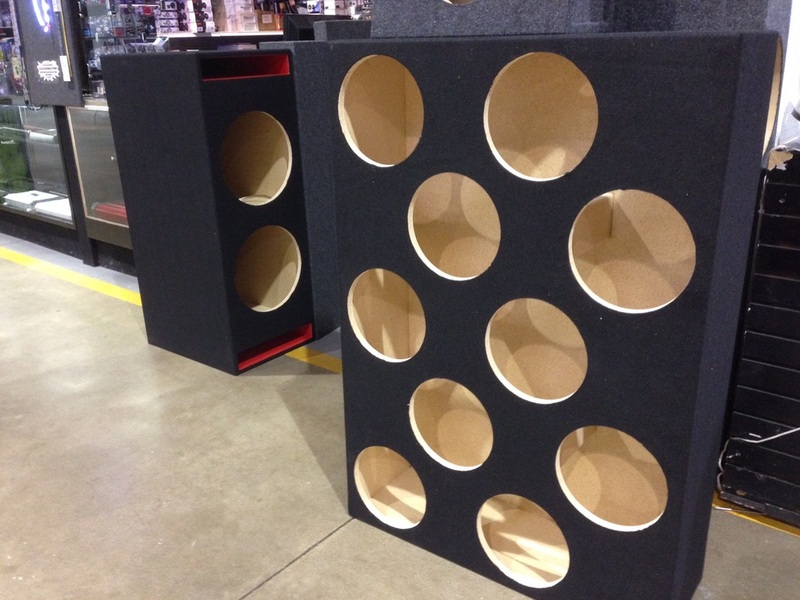 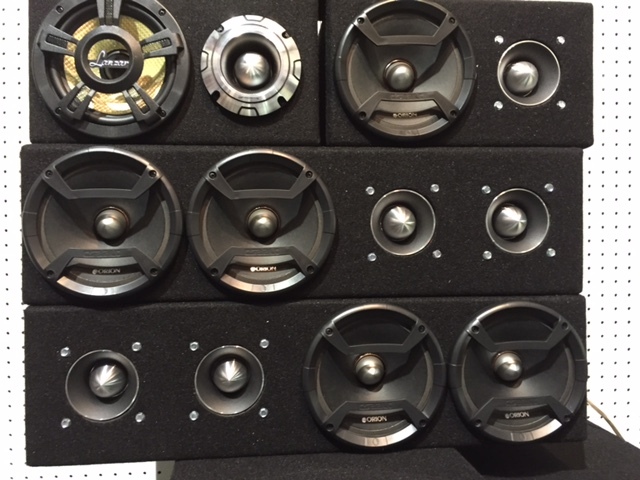 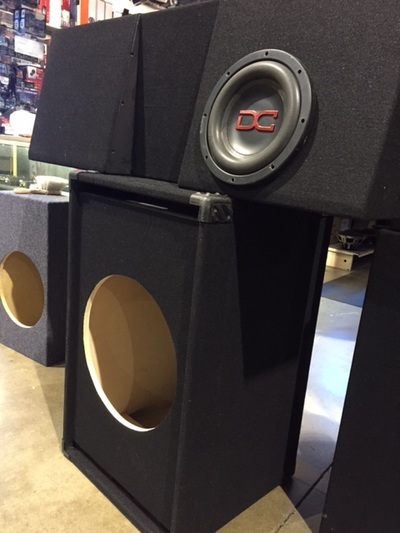 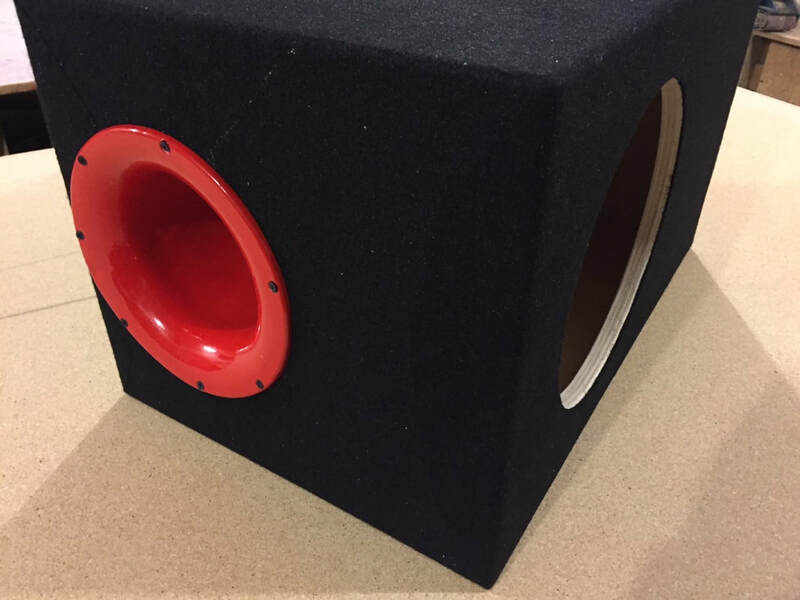 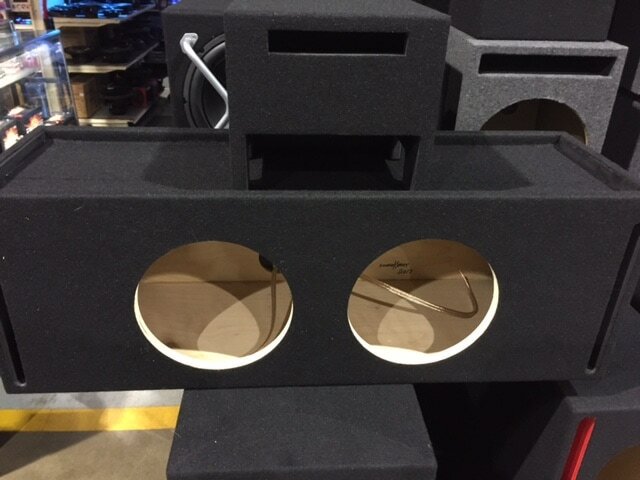 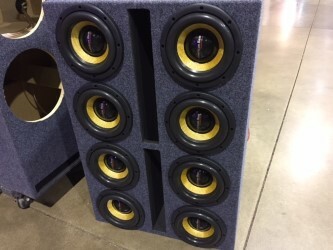 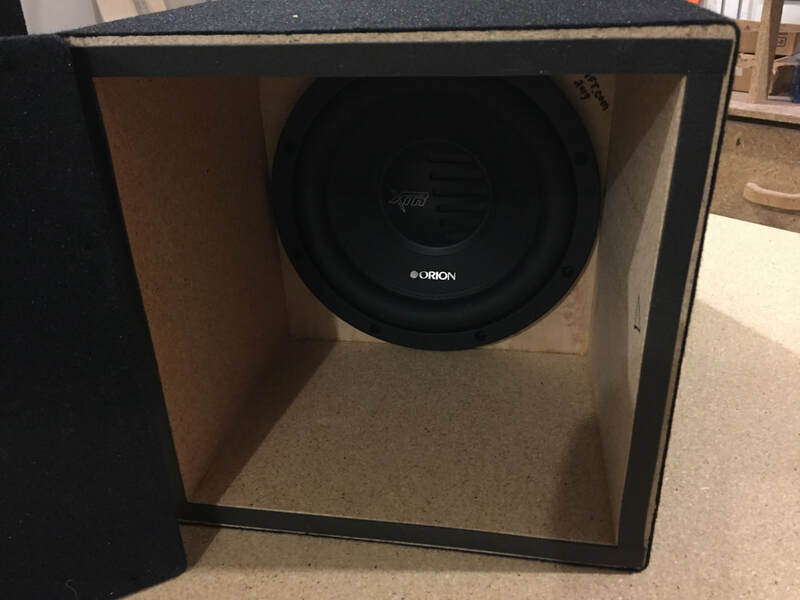 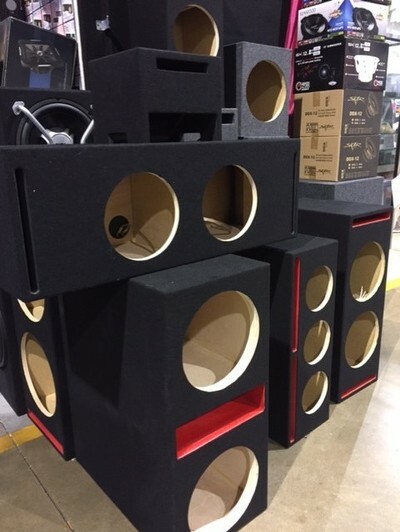 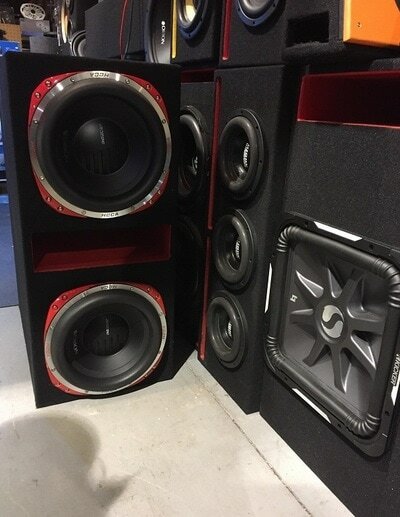 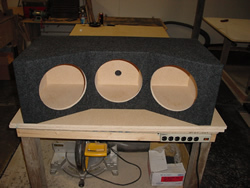 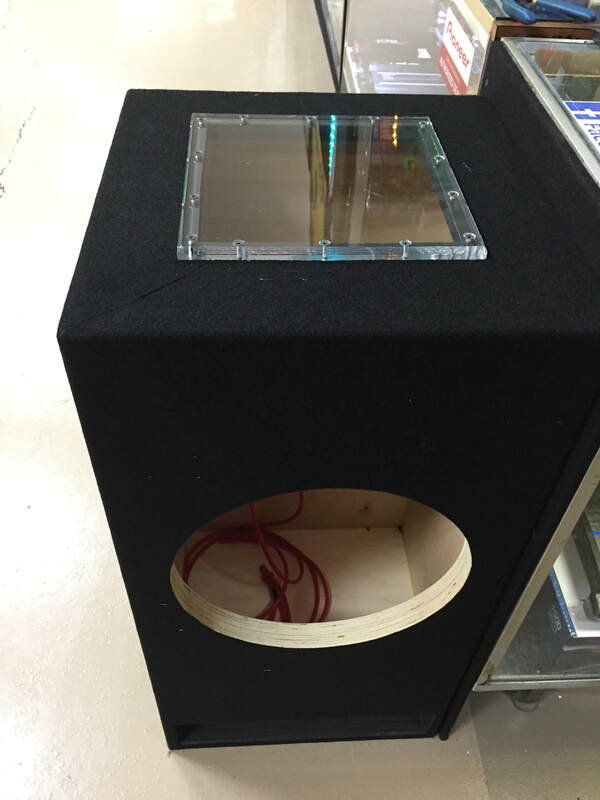 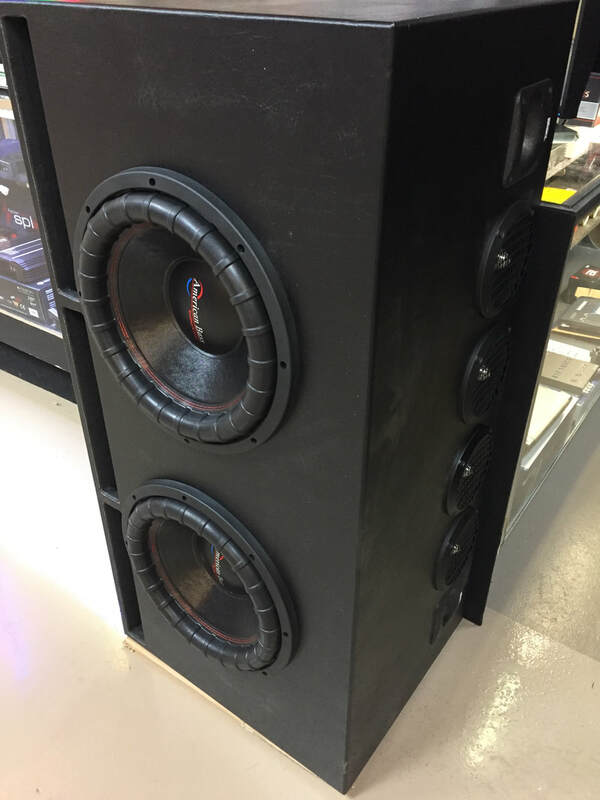 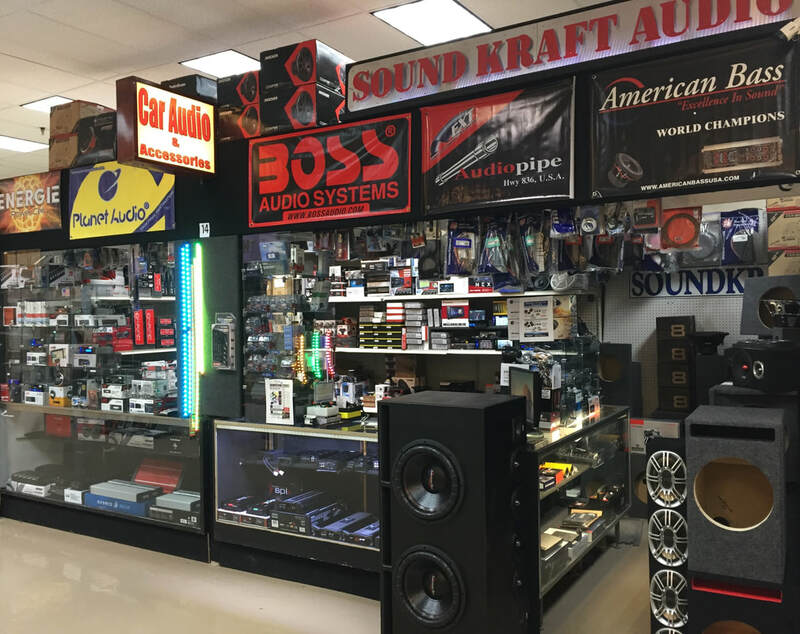 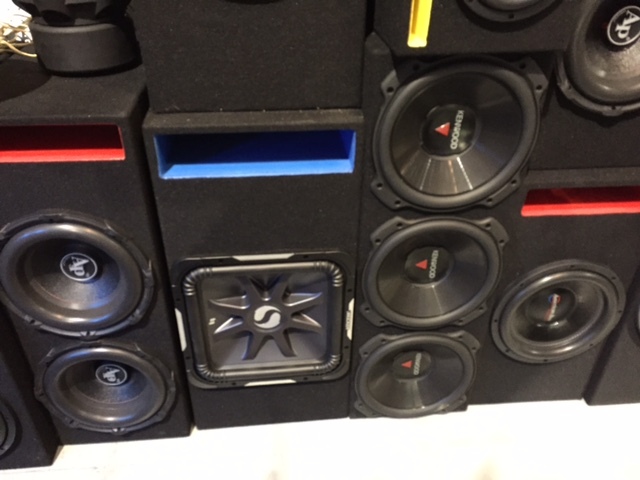 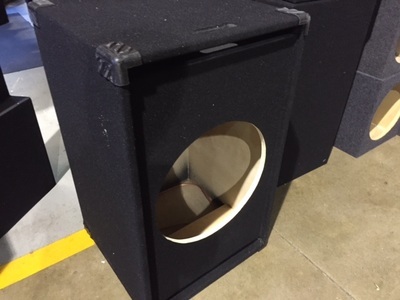 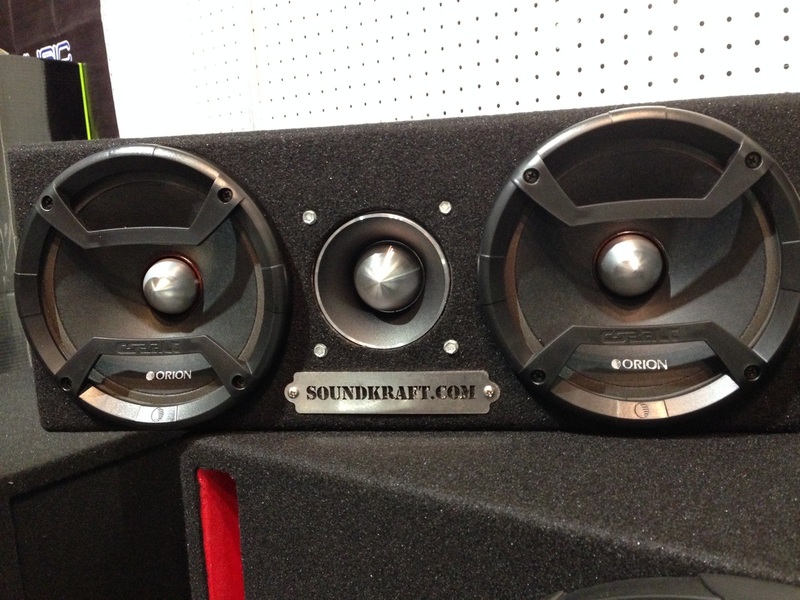 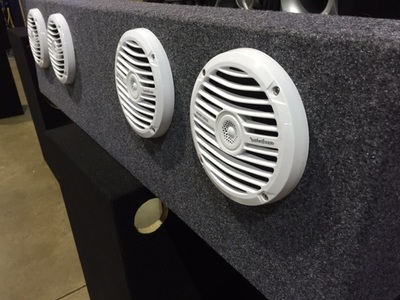 Custom Subwoofer Cabinets - Sound Kraft Audio, Inc.
At Sound Kraft Audio Inc., we custom build subwoofer cabinets to fit your vehicle. 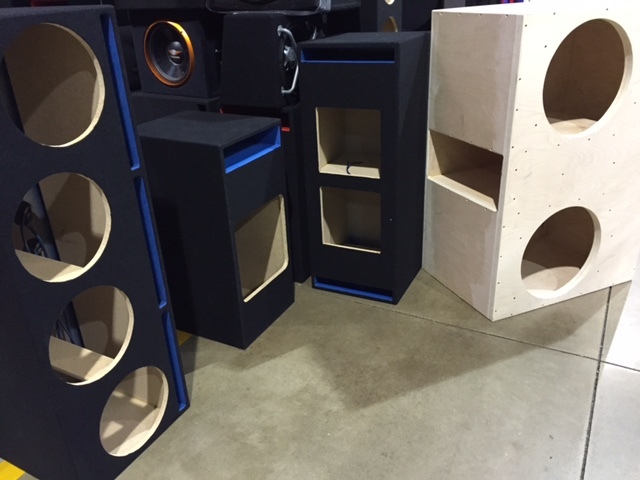 We have built thousands of cabinets over the past 28 years! 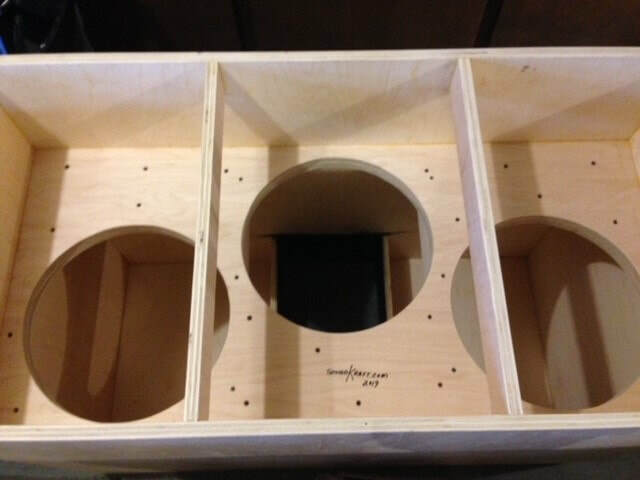 We have an excellent reputation for quality craftsmanship! 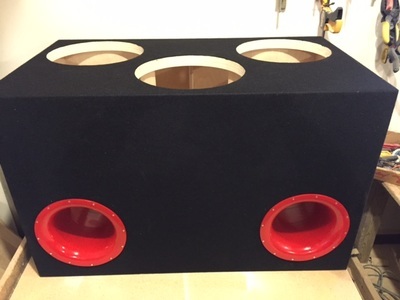 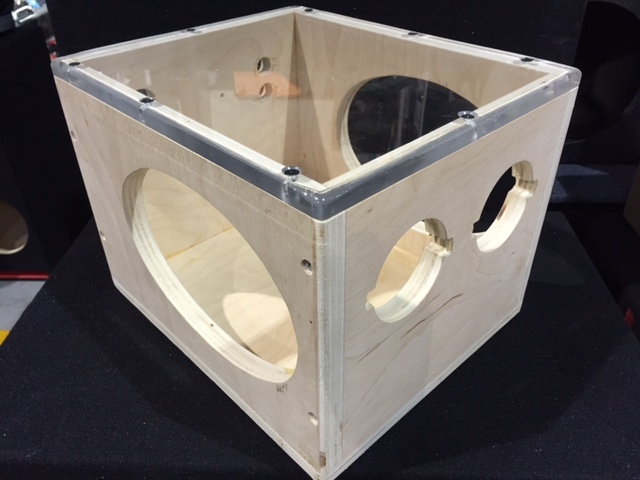 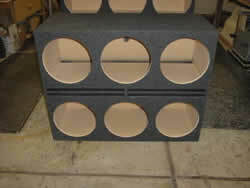 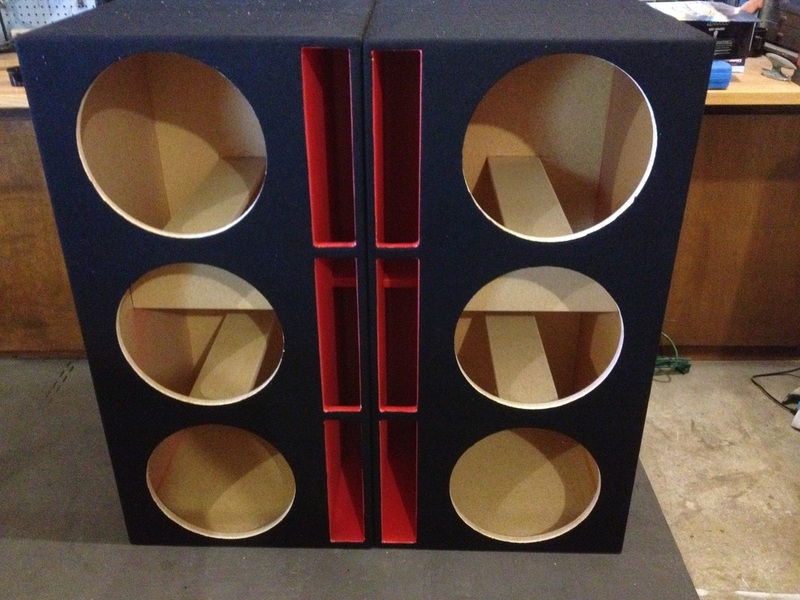 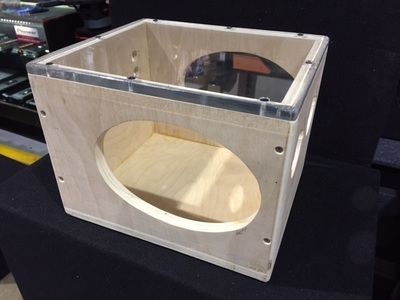 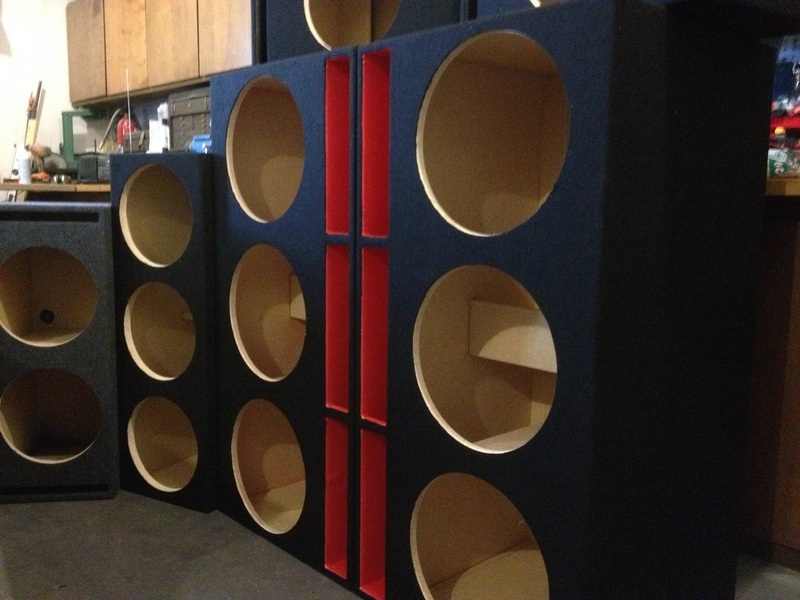 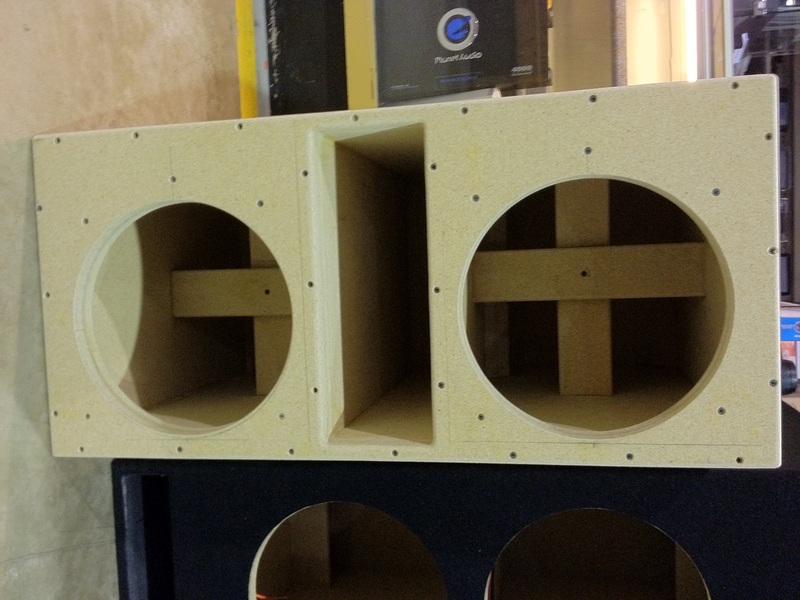 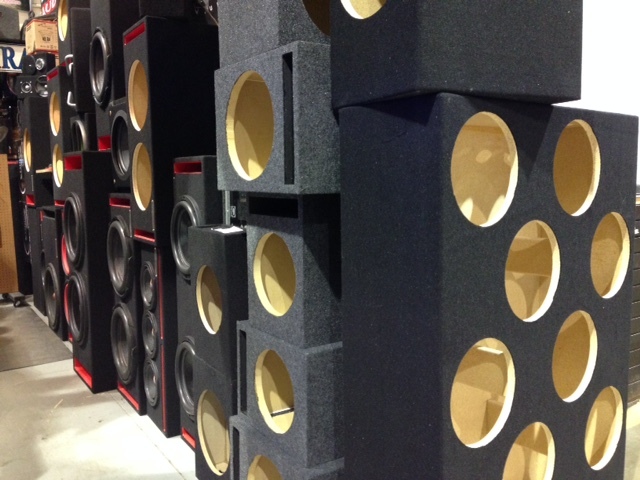 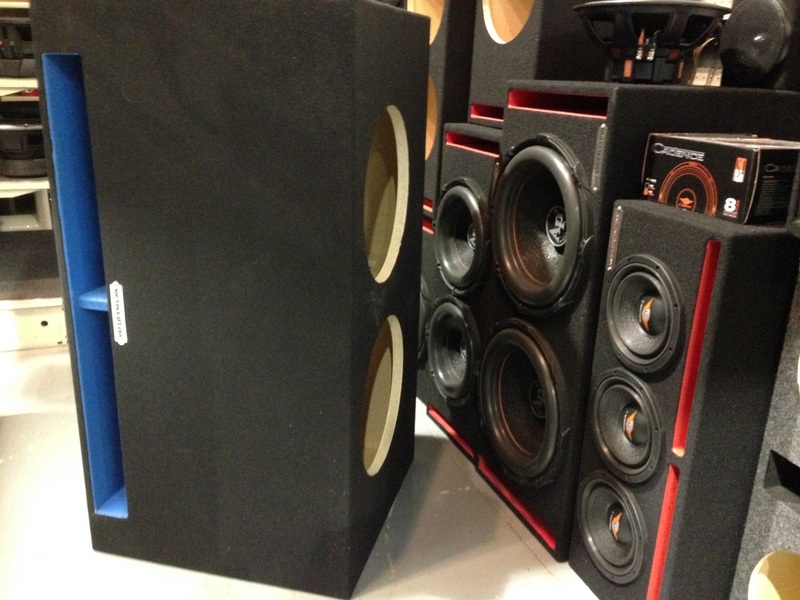 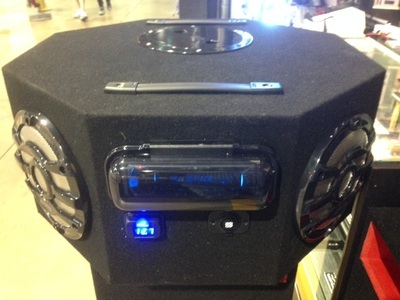 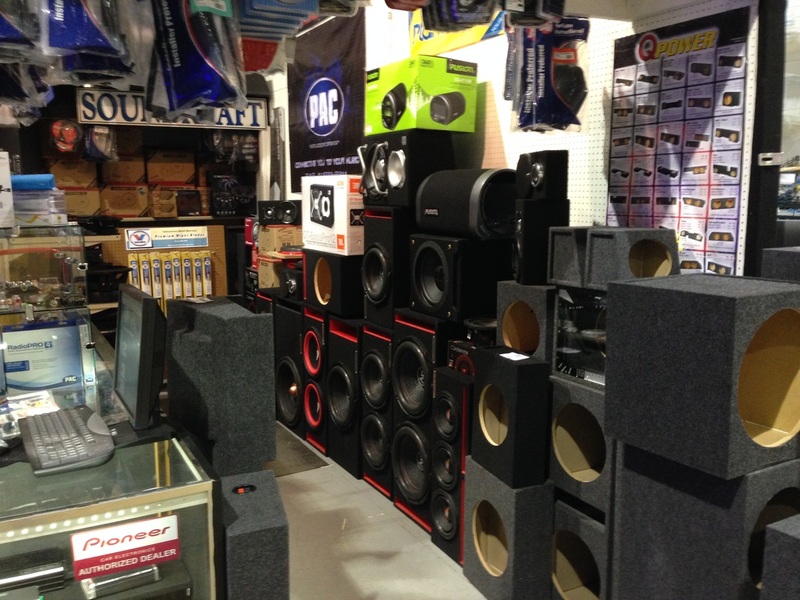 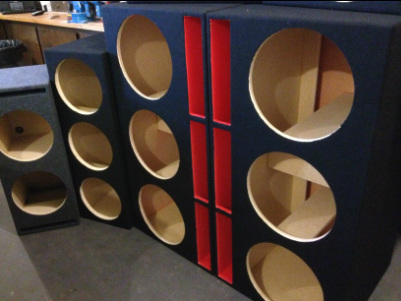 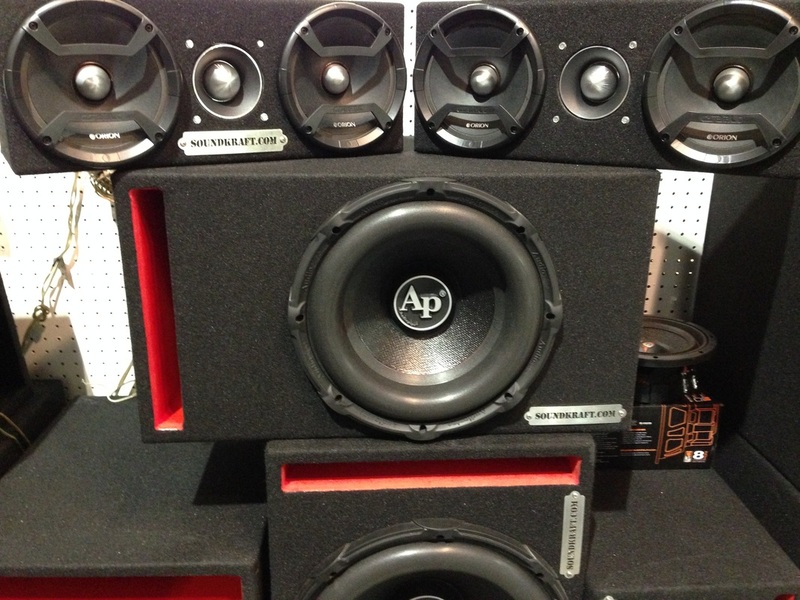 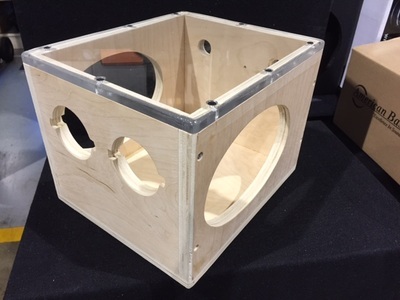 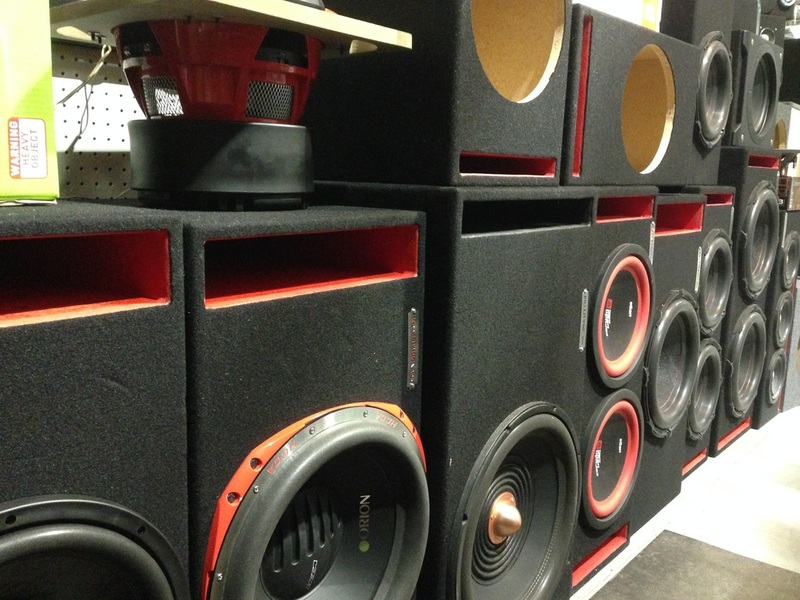 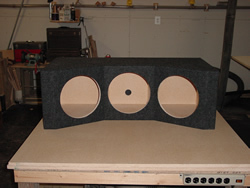 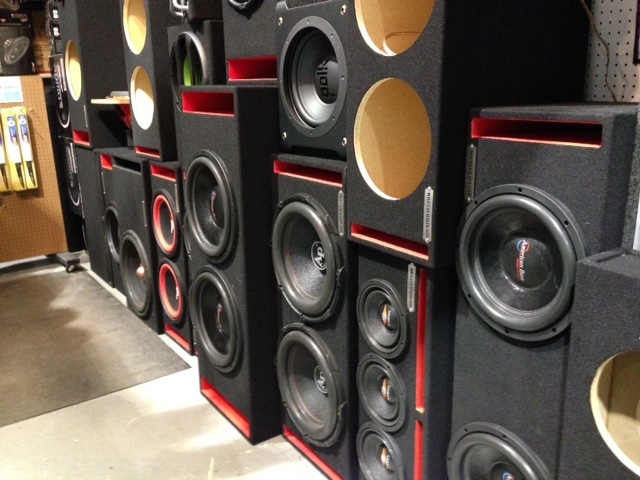 Interested in ordering a custom subwoofer cabinet? 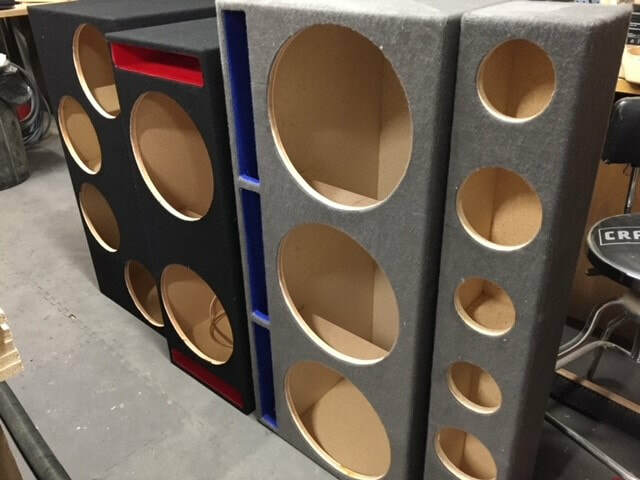 We will discuss with you what kind of cabinet will work best for your vehicle and design a cabinet to the proper specifications for optimal sound! 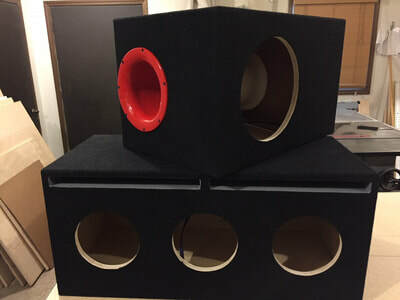 Custom orders are usually completed within 1 week of the order. 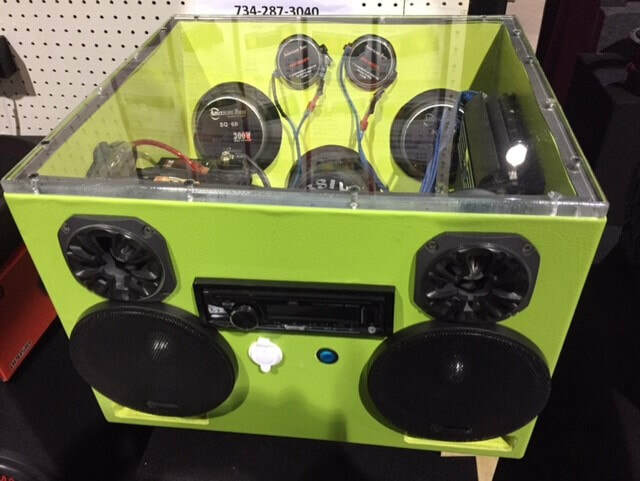 We have built the winning cabinet in sound competitions for years!